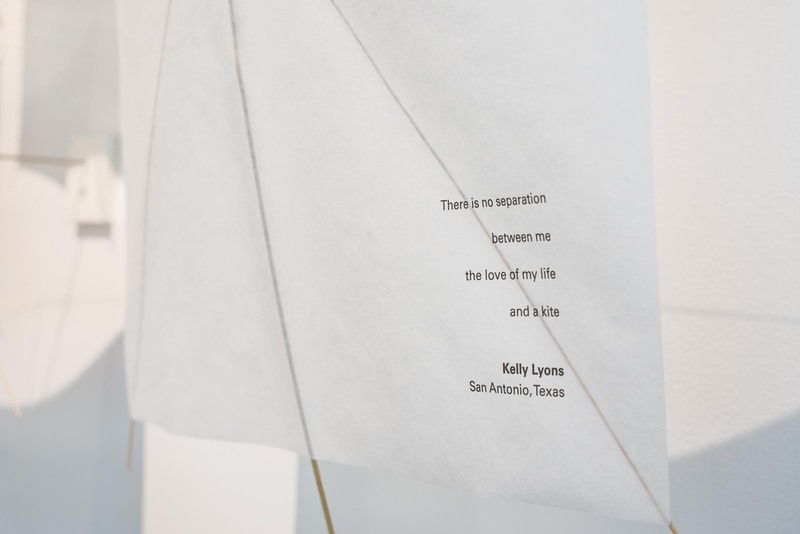 Most of us have flown a kite at some point in our lives. 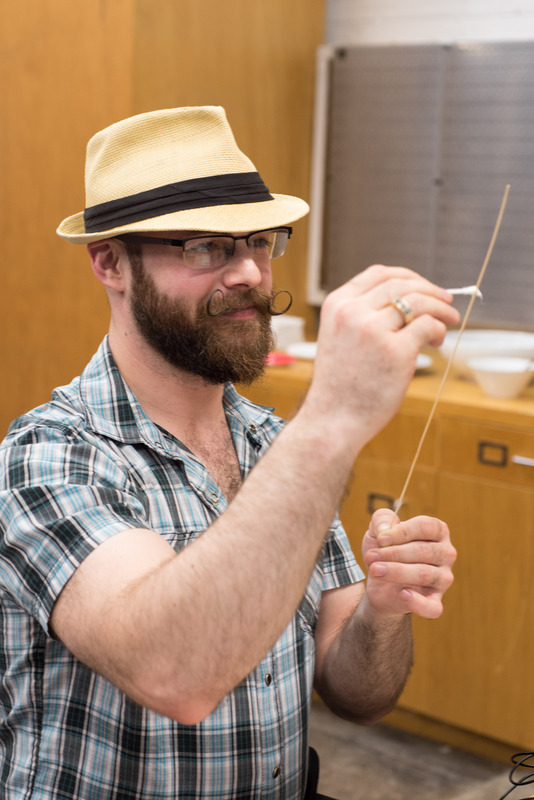 Some haven’t done so since elementary school, others have made a career out of making or flying kites. 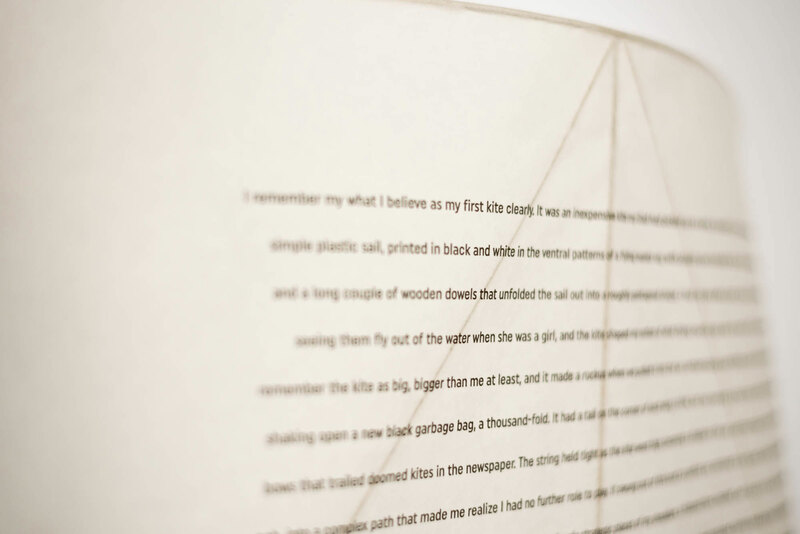 The Kite Stories Project exists to gather, display and enjoy these memories as a collective art installation. 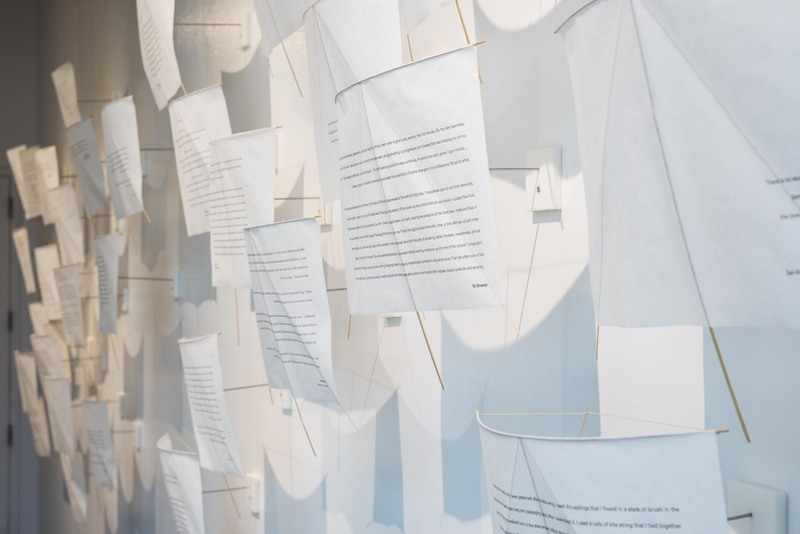 Like the community that submitted them, the stories are diverse in style and tone. 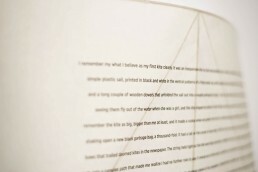 They are personal reflections on laughter, sorrow, enlightenment, success, failure and discovery. They highlight the unique dialogue between an individual, the wind, the sky, and the kite. 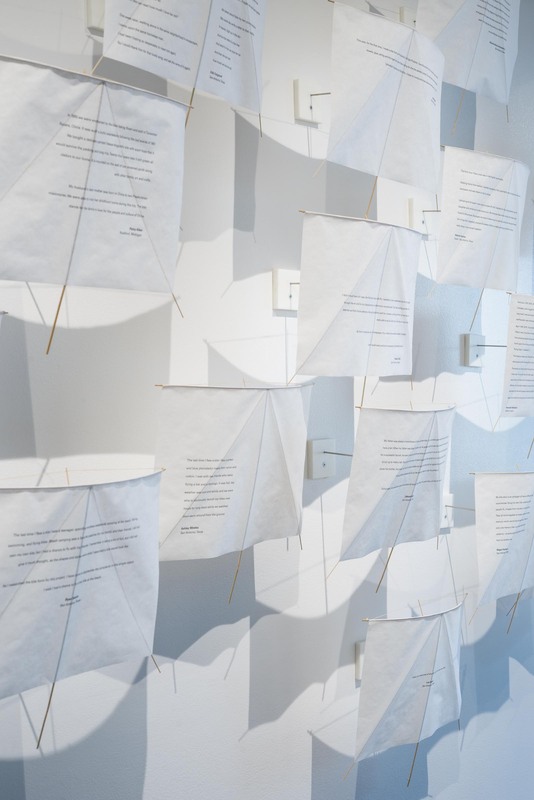 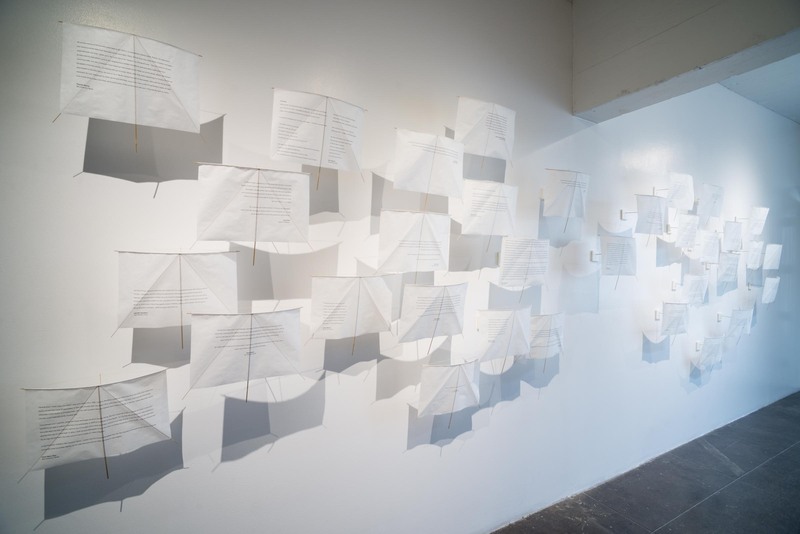 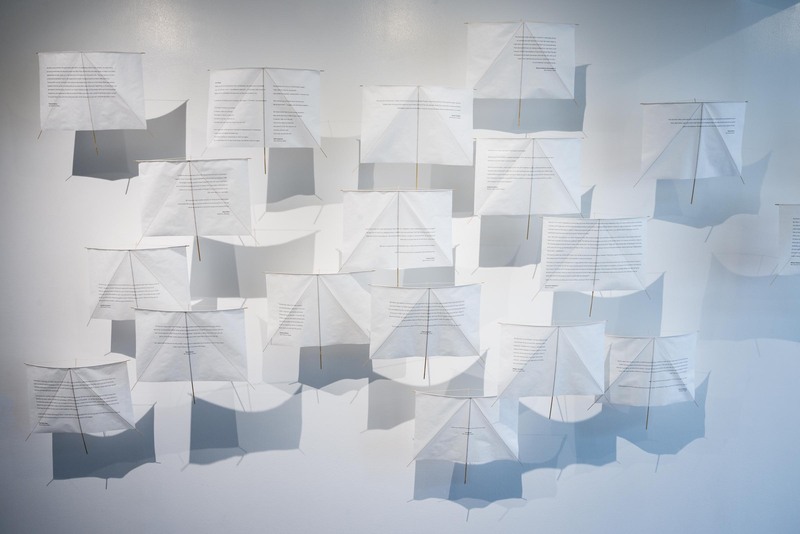 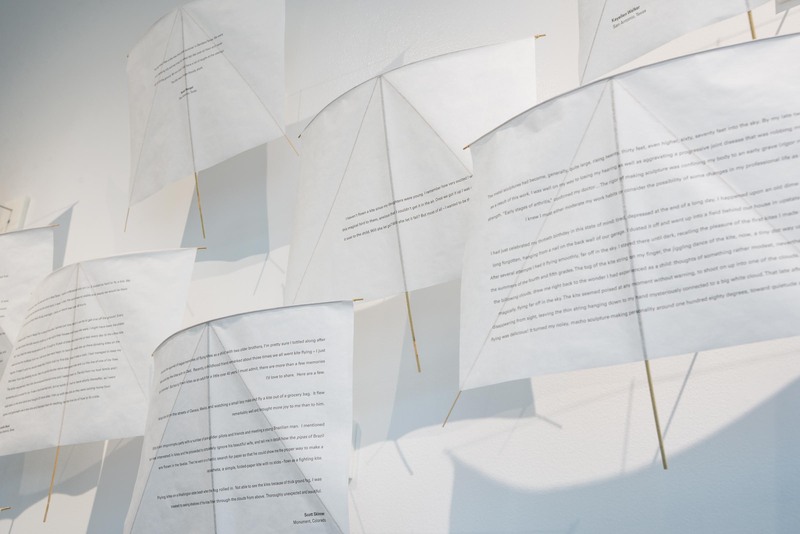 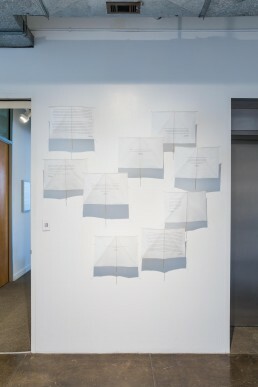 Each narrative was gathered via an online submission form and printed on a kite sail. 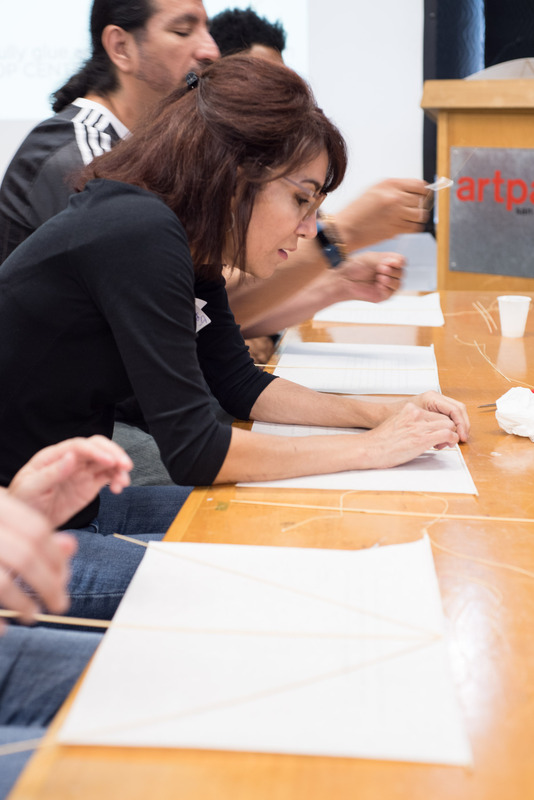 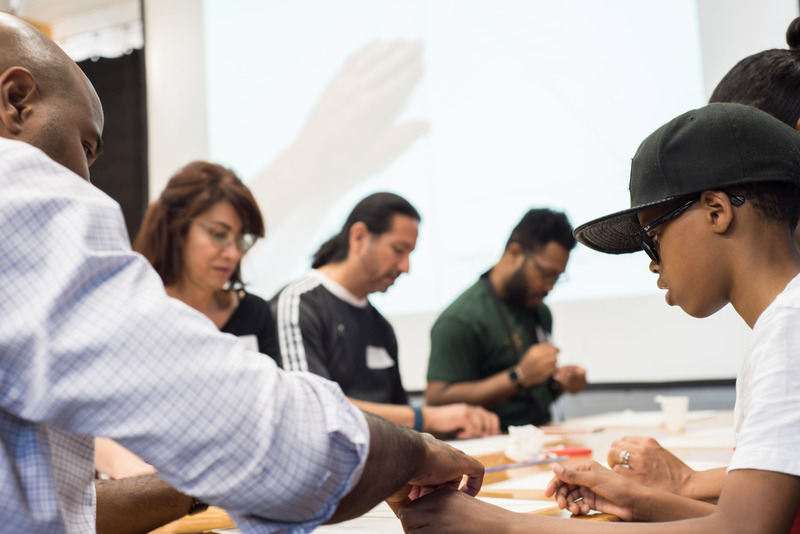 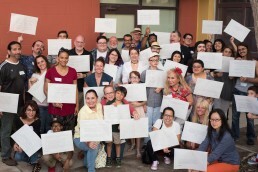 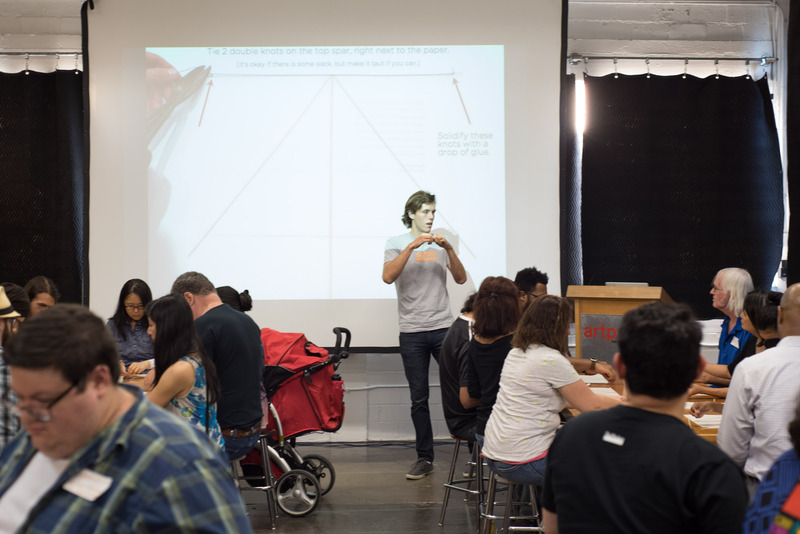 Next, local participants gathered for a workshop at Artpace to build the kites. Most made a kite with their own story, others assembled one of the out-of-state or international submissions. Final assembly and installation was completed by Cade Bradshaw and Stuart Allen of Bridge Projects. 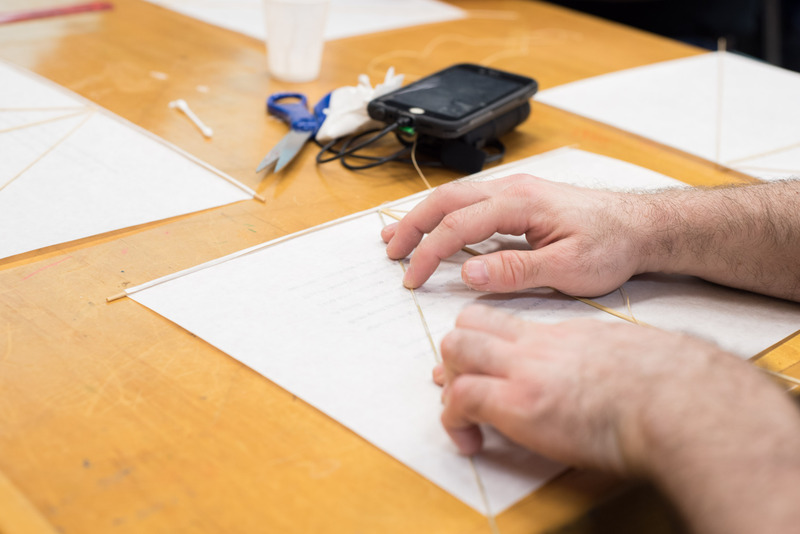 The Kite Stories Project is ongoing as we continue to collect narratives from flyers and makers around the world. 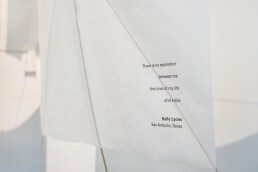 Please visit www.bridgesatx.com/kite-stories, and share your kite story. 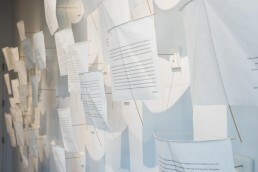 We will add it to the next installation.